Mazhavil Manorama is launching the second season of d4dance, d2 on Friday 5th December 2014 at 8.00 P.M. D2 Will air every friday, saturday and sunday at 8.00 P.M. D4Dance Season 1 is completed and Ramzan Muhammed announced as the winner. Master Blasters Lead by Prasanna master and Neeravs Angels By Neerav Bavlecha Will fight in each episodes. 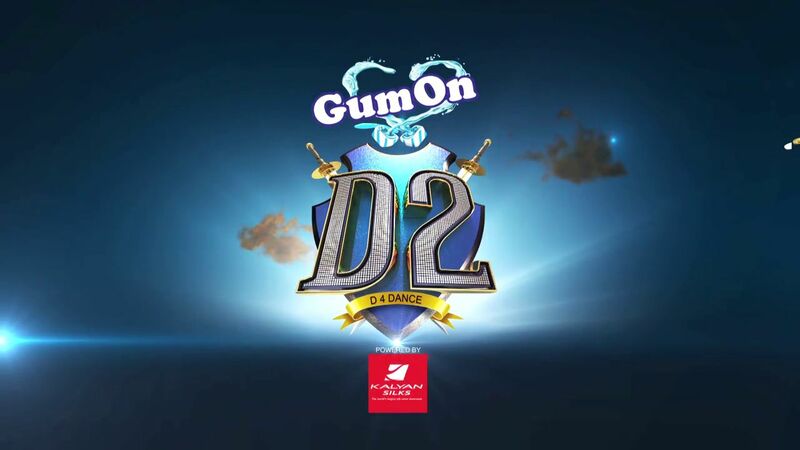 Gum On is the title sponcer of the show d 4 dance season 2, Powered by Kalyan Jewellers. We Will Update the details of The D2 Contestants Here. Priyamani will continue with gum on d2 on mazhavil manorama. Season 1 of d4dance was a huge hit. The channel have created a rich promo for the season 2 of d4dance show. Don’t forgot to watch Gum On D2 Every Friday, Saturday and Sunday at 8.00 P.M On Mazhavil Manorama Channel. to be frank, Gum On D2 is not good.